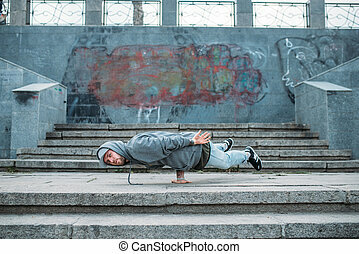 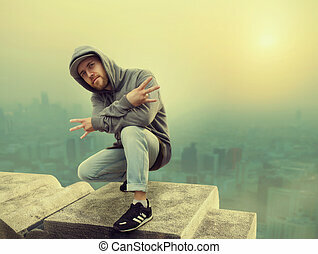 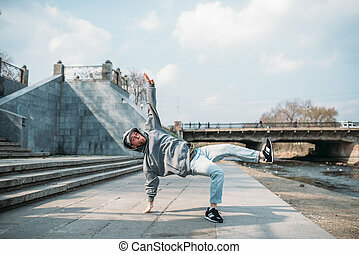 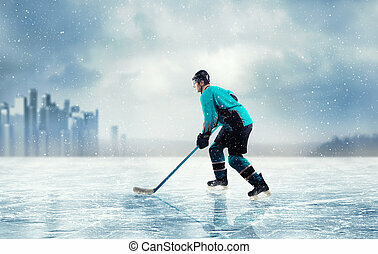 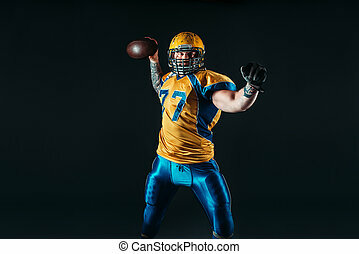 American football player, cityscape on background. 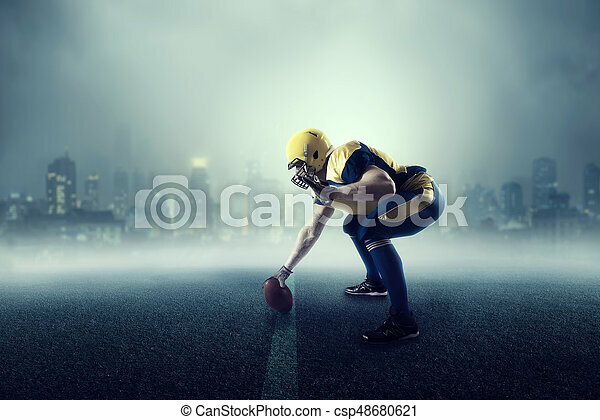 American football player with ball, cityscape on background. 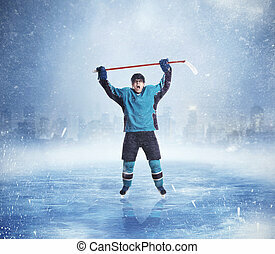 national league. 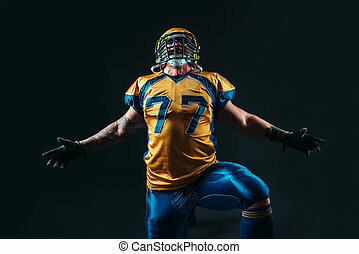 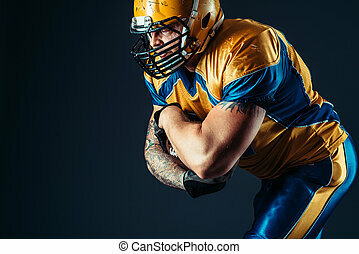 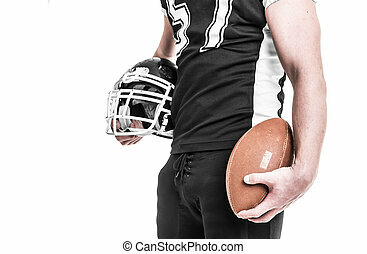 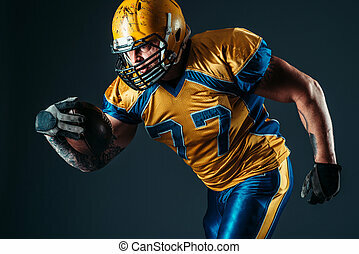 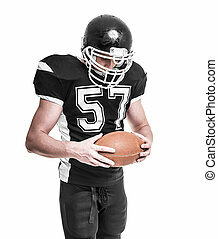 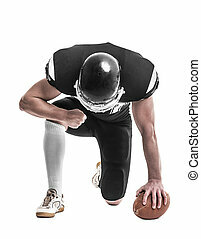 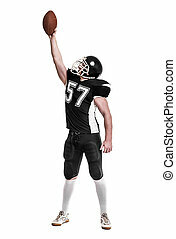 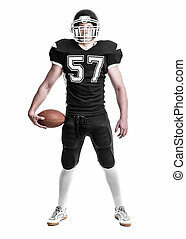 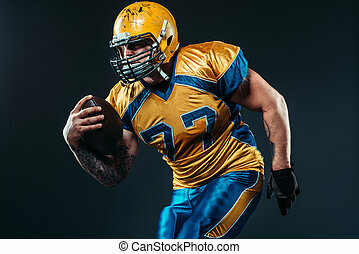 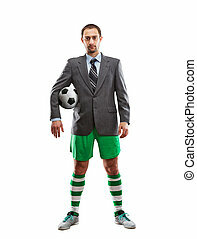 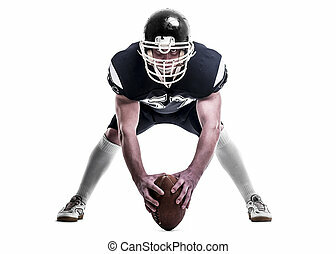 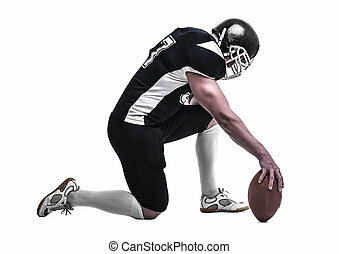 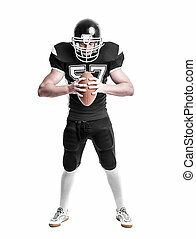 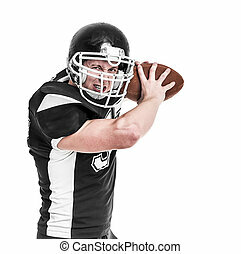 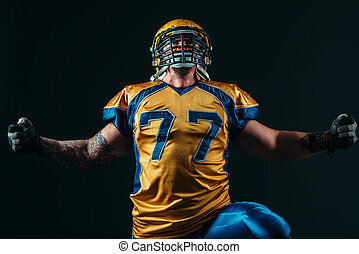 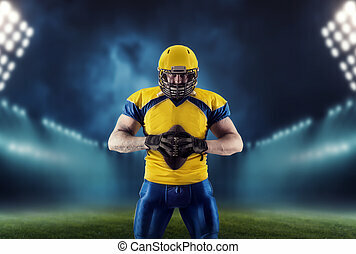 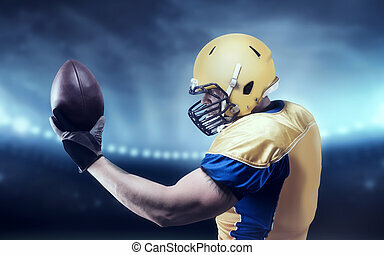 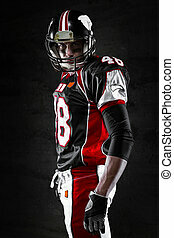 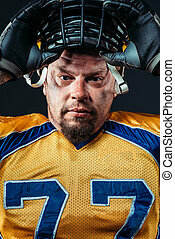 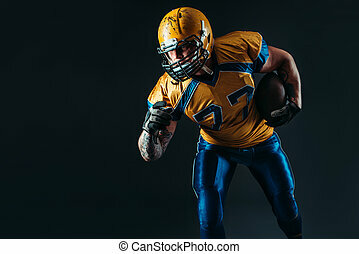 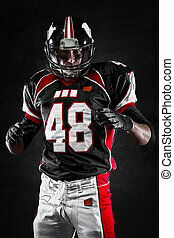 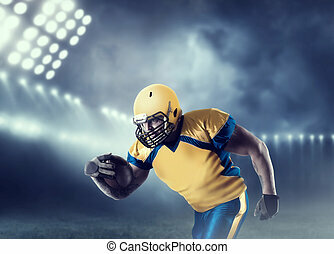 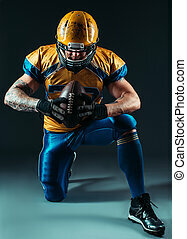 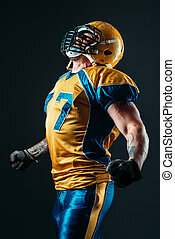 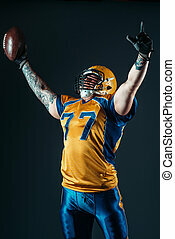 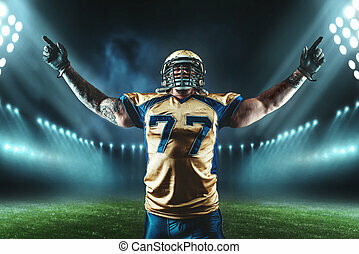 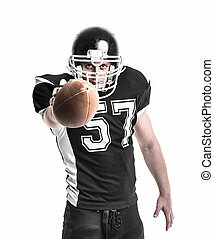 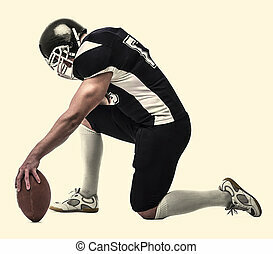 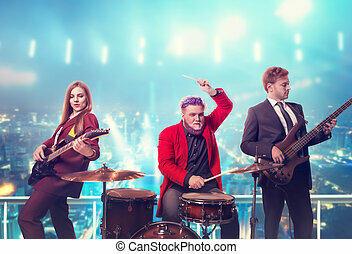 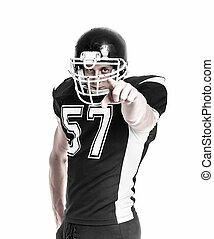 American football player on white background.